Orcades Marine are sharing a booth with Dynamic Systems Analysis at the Mar-Tech 2018 Canadian Institute of Marine Engineering annual conference being held in the beautiful city of Victoria, British Columbia, Canada. Great conference with quality speakers! 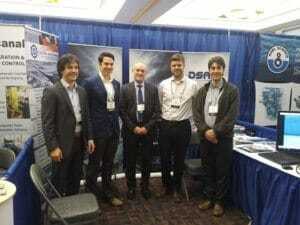 The DSA team from the British Columbia Office with David Thomson, Orcades Marine.